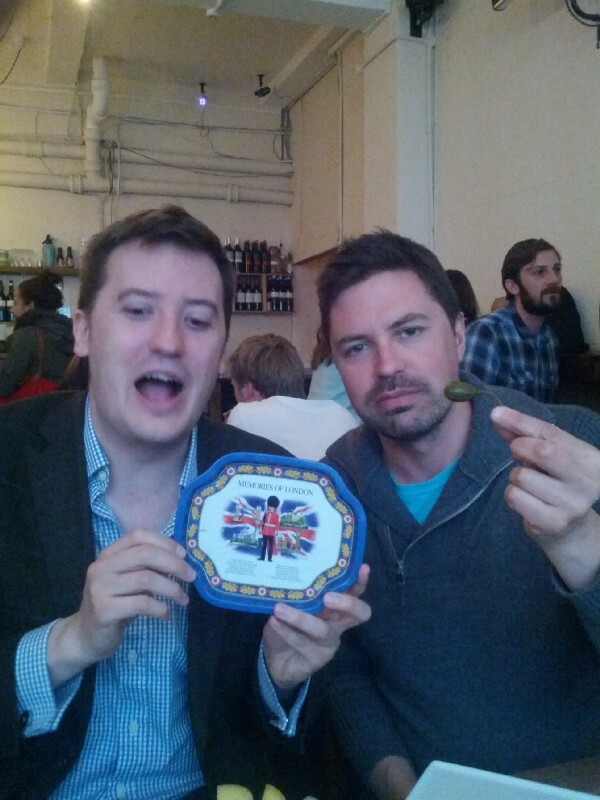 A night out in Brixton for Andrew's birthday. 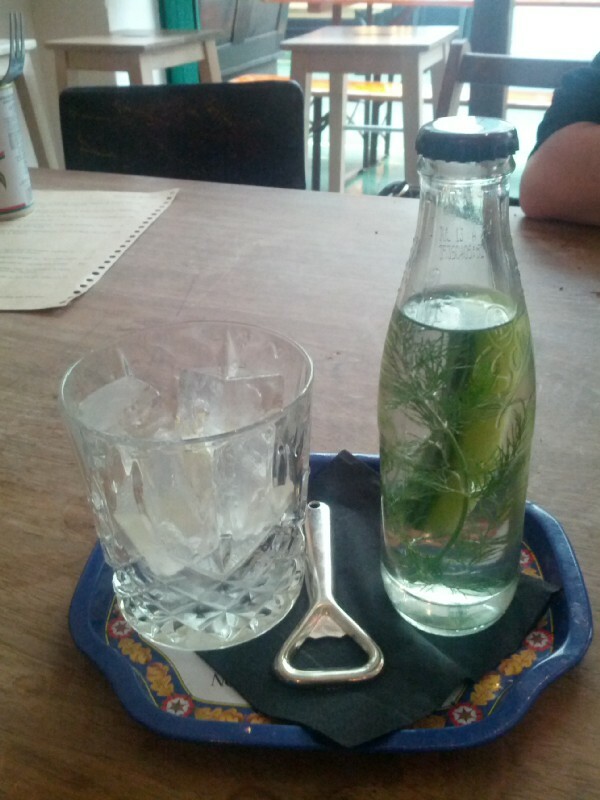 A gin and tonic (I think it was at least) with dill. 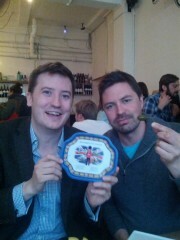 Me and Andrew, and the kitsch tray my drink came on.